TeachMeet Newham was a great night. This was my second TeachMeet event that I have presented at. I thoroughly enjoyed the evening and may I say the samosas were delicious. Many thanks to Jonny Walker @jonnywalker_edu for not only running a lovely evening but letting me take part. 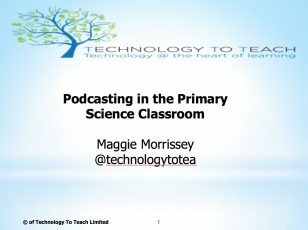 My presentation on podcasting in the primary science classroom seemed to go down well if the positive comments from other attendees during the break could be a guide. podcasting-in-the-primary-science-class As I mentioned in the talk I will be working on a six week lesson guide on how to use this resource. I will let everyone know when it is available. There were quite a few interesting presentations on the night. The one that caught my interest was from an organisation called Medical Mavericks. They bring a real hospital to your school. As a fully qualified nurse who worked in large teaching hospitals in London I know the different varieties of medical jobs that lay in the background. Many people of course think of hospitals having maybe a doctor, nurse, physiotherapist etc. 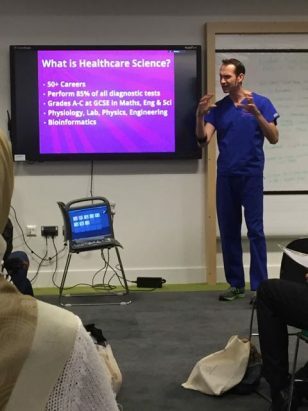 As you can see from their power point on the night there are more than 50 jobs that come under healthcare science. Letting children know about the different options may help them realise there is more than can do with subjects there. This is a wonderful example of STEM type careers and I suspect that children will have a fantastic time when they come to your school. 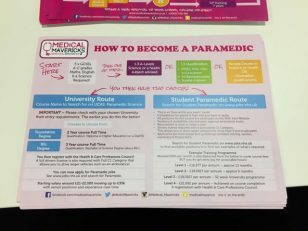 Here is an example of the posters they will provide so it is worth checking them out. A great resource for learning about health within the national curriculum.